Israel is trying out a new sort of “flexible evictions” in its quest to root out the “illegal” Bedouin village of Al-Araqib, demolished 63 times to date. Now even those buried in the village cemetery are reportedly receiving eviction orders. 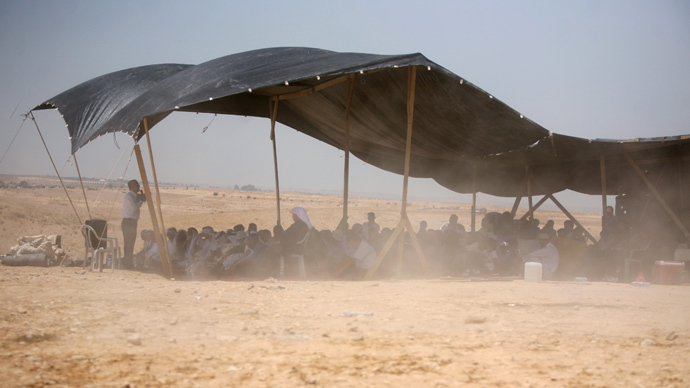 The Arab Bedouin village, located in the arid Negev desert but still troubling the Israeli authorities ever since the first full-scale demolition in 2010, is dealing with its latest challenge: eviction orders for the deceased, rights activist Michal Rotem writes on +972 independent blog. 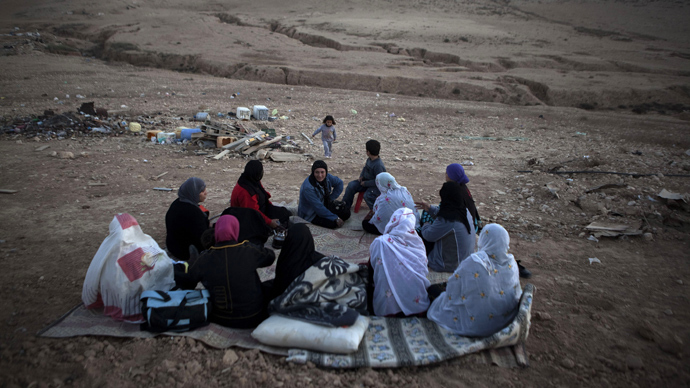 According to Rotem, who is a member of the joint Arab-Jewish group Negev Coexistence Forum for Civil Equality (NCF), eight eviction orders were placed on structures in the cemetery at Al-Araqib last Wednesday. While receiving eviction orders is nothing new for the Bedouins, who for years have been defiantly rebuilding the unrecognized village, this time the recipients’ names could have sent chills down some spines. 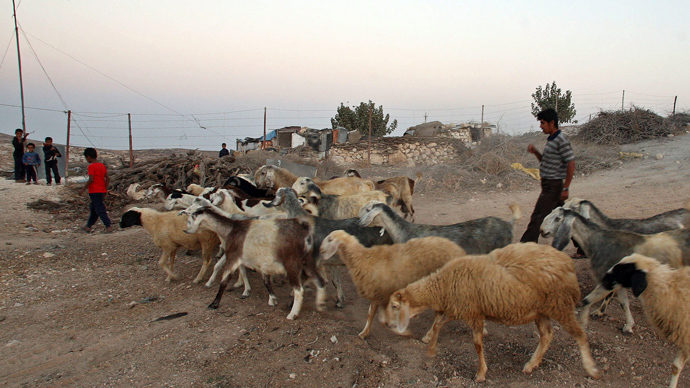 The orders were partly issued against those no longer living in the village – and buried in the cemetery, where the Israelis placed eviction notes. The farcical situation is only the latest move of the Israeli government in what the rights activists have blasted as “discrimination” and “ethnic cleansing” of the 40,000-strong Bedouin population in the occupied Palestinian lands. Israel has also been dumping city waste right next to some of the Bedouin settlements in the desert, prompting health concerns from environmental experts. The villagers earlier addressed the Guinness Book of World Records to register the ruinous “record” of Israel when the demolition count reached 38.